Materials handling technologies is a term referred to operating the products in a distribution centers and warehouses. It includes receiving, moving, storing, retrieving and despatch of all the products that enter and leave them. Bearing that in mind, choosing the right technologies is of the essential importance for operating an effective, productive and all-rounded distribution system. Let us discuss these technologies in closer detail. Conveyors are an integral part of distribution systems and their role is to promptly move from point to point anything that is stored in the distribution center or a warehouse. This covers everything from small boxes to fully loaded pallets. What this means in practice is there are several types of conveyers which are constructed based on the type of cargo that will be moved, its size, weight, shape, condition and the capacity that needs to be conveyed. Other equipment can also be integrated, such as label applicators, carton sealers and weight scales. Sortation systems are an important part of the despatch chain whose primary function is to accurately handle diverse loads and direct them to different despatch staging areas. The equipment used for sortation is as varied as the goods that are being moved. The size, shape, condition, weigh and the capacity that needs to be sorted are all taken into account during the projection of a suitable sortation system. 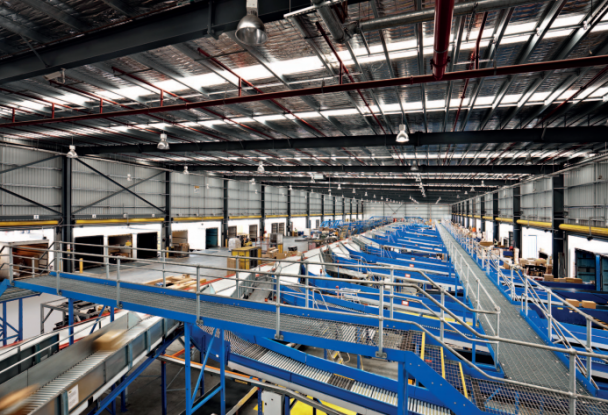 Additional element of the sortation system include full track and trace visibility of every movement in the process. 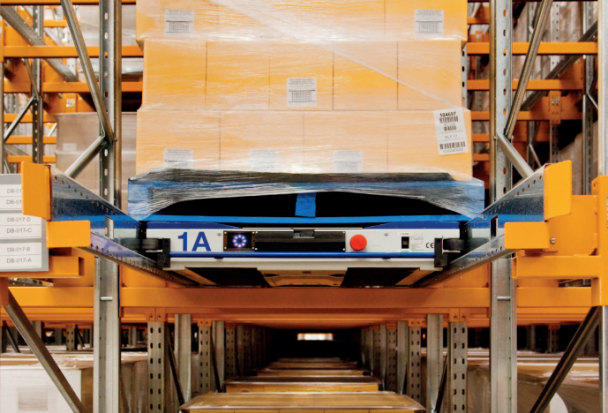 Satellite smart carts function is to move full pallet loads along the rails in and out of a storage structure. Forklifts are used to place them in the designated position within the rack and then they are automatically operated using radio frequency or remote control. This means that, regardless if LIFO or FIFO inventory management method is chosen, forklift operators can focus solely on putting a pallet load on and taking it from the racking face. This greatly improves efficiency in high density environments. Stacker cranes are highly productive storage management solution. They are far superior to forklifts due to their significantly higher reach which can be as high as 35m and are much safer to use in confined spaces since they keep the storage operation separated from the pedestrian movement. Their superior use of vertical space for storage is additionally improved by Dexion NZ pallet racking, creating an ideal storage solution for all spaces, particularly those small ones that need to provide high storage capacity. 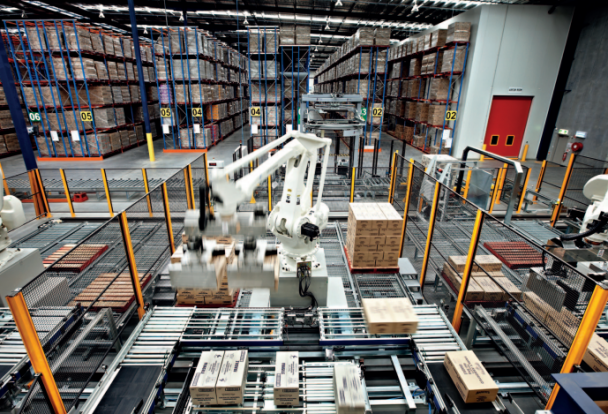 Robotics brings various benefits to storage operation compared to manual operation. These include speeding up of repetitive processes which result in improved efficiency. Next, it makes following safety regulations and procedures easier since the automation of the process practically erases the possibility of hazards that happen due to tedious and fatiguing nature of this repetitive process. Another important benefit is the reduction of product damage out of the same reasons mentioned above. Automatic Guided Vehicles are the latest improvement in bulk material handling equipment. As their name says it, they are guided along predetermined pathways in the floor and powered by inbuilt batteries. Besides carrying single or bulk loads and towing object they can be integrated with other equipment to even be automatically loaded and unloaded. Among other types, AVG’s include driverless trains, unit carriers and pallet trucks. Carousels are another great means of making the best of vertical space as a storage solution. Basically, they consist of trays that are housed within a tower and show best results when it comes to high density storage and are particularly efficient when it comes to small parts inventory that is characterized by low pick rates. On top of that, they can be climate controlled.